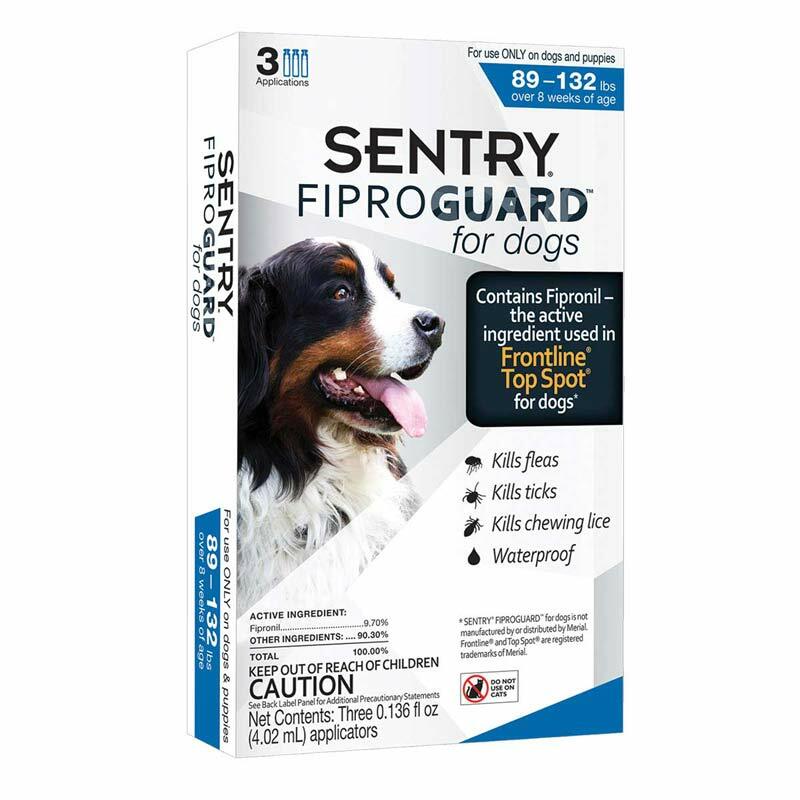 SENTRY Fiproguard delivers protection against fleas, ticks, and chewing lice. Fiproguard is an effective, affordable way to protect your dog from fleas, ticks and chewing lice for 30 days. Contains fipronil, an active ingredient used in FRONTLINE brand products. For use on dogs and puppies over 8 weeks of age. Waterproof. Packaged in the USA.